يوفر فندق سيتي ستاي للشقق الفندقية ظروف إقامة راقية وهو خيار رائج للسياح ولرجال الأعمال أيضاً. يقع في منطقة مطاعم, سياحة, تسوق من المدينة. يقع مركز المدينة المثير على بعد 0.1 km فقط. يضفي محيط الفندق اللطيف وقربه من أكثر المعالم السياحية جذبًا سحرًا خاصًا على هذا الفندق. إن الخدمات التي يقدمها سيتي ستاي للشقق الفندقية تضمن للنزلاء إقامة مريحة. يقدم الفندق فرصة للاستمتاع بشريحة واسعة من الخدمات بما فيها: واي فاي مجاني في جميع الغرف, مرافق مخصصة لذوي الاحتياجات الخاصة, تخزين الأمتعة, واي فاي في المناطق العامة, صف السيارات . لقد جهزت هذه الإقامة الفندقية بعناية فائقة لتوفر مستوى عالي من الراحة. في بعض الغرف يجد النزيل تلفزيون بشاشة مسطحة, اتصال لاسلكي بالإنترنت, اتصال لاسلكي بشبكة الإنترنت (مجاني), غرف لغير المدخنين, مكيف هواء. يقدم الفندق العديد من الفرص للاستجمام كمثل مركز للياقة البدنية, حمام سباحة خارجي, ملعب للأطفال, حديقة. يشكل سيتي ستاي للشقق الفندقية بخدماته الراقية وموقعه الممتاز، قاعدة مثالية للاستمتاع بإقامتك في المدينة. يبدأ تسجيل الوصول من الساعة 2:00 مساءً. مكتب الاستقبال مفتوح من الساعة 07:00 صباحًا إلى 09:00 مساءً. Clean and comfortable room. Washing machine and clothes dryer help a lot. Small kitchen with basic needs enough for our family usage. Ample car parking provided with no charge to the guest is and added advantage (guests do not need to park at the roadside). Would definitely consider to stay again. Overall we are pleasant for the stay, apartment was equipped with kitchen amenities, just that the rice cooker that provided was not functioning. It is better that you could provide free parking for your hotel guest instead need to pay 10aud per day. Thanks! Definitely will stay here if we come to Perth again. The staff was so nice when they allow us to check in early without additional charge & assist us sincerely. We were so thankful! The CAT bus stop & Watertown outlet mall just across the street. 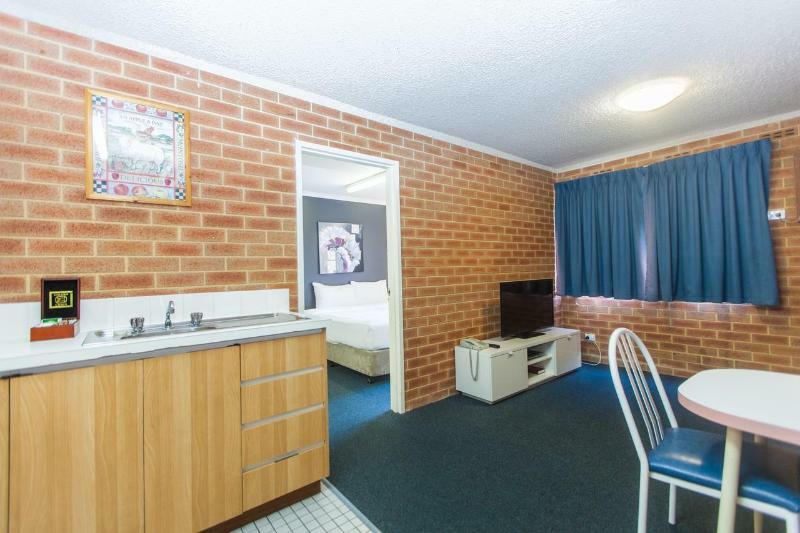 Pro: -Great location in CBD. Yellow free CAT bus in front of apartment. -Just opposite Watertown outlet. Great shopping. -Apartment is fully furnished with kitchen,microwave,washing machine,dryer,sofa,iron&ironing board,tv, dining area. Clean and comfortable. -Its very convenient to do laundry in our own unit! Big plus point. Just need to buy/bring own laundry detergent. Totally happy to have our own washer&dryer -Swimming pool open from 7am till10pm Cons: -Parking fee AUD10 per night -Reception closed at 7pm. Need to call for instruction for check in. -Need to use side door after 7pm, which has some stairs and not wheelchair/ stroller friendly. Bathroom floor and common area floor tiles were extremely slippery once wet. My 18 month old slipped and hurt his head quite badly in the shower. People (other guests) at the reception were extremely rude, however, reception staff were extremely professional and polite in handling difficult customers. 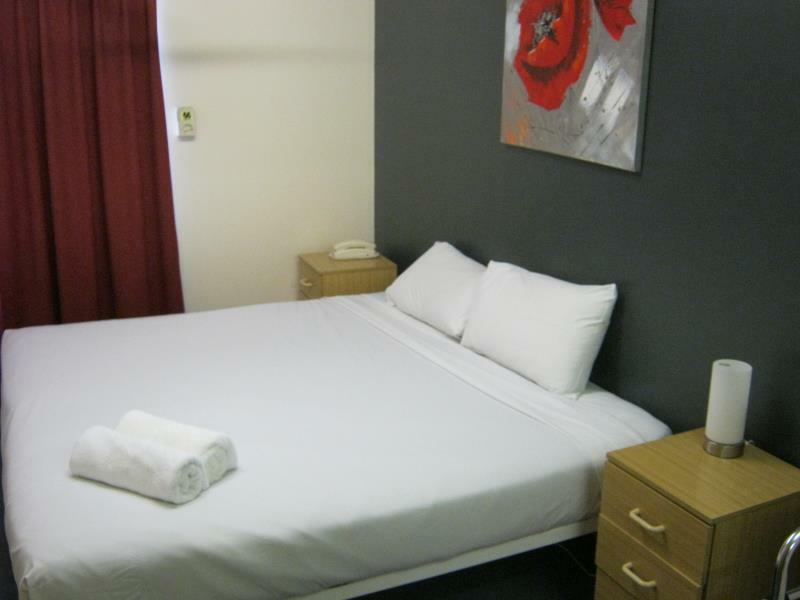 Our second stay here - great central location - close to shops, restaurants and public transport. Apartment style rooms mean its easy to make your meals if you wish. Friendly staff, hope too see you again soon! The receptionist was friendly and helpful to accommodate us. The apartment was clean and everything was provided. We were amazed to see a rice cooker in the apartment (which is quite important and useful for us Asians) And it is also near to the central which is reachable by taking the free CAT bus right outside the apartment. 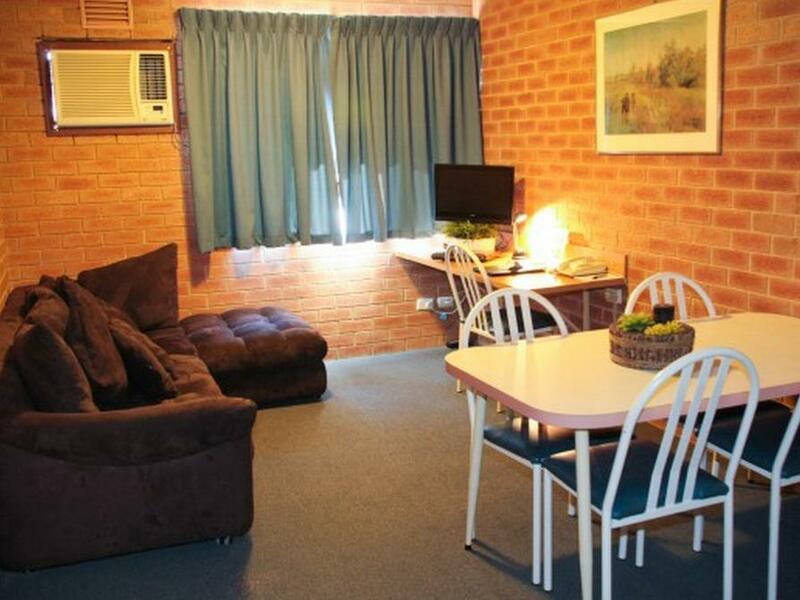 Close to everything, Central City Stay is great for families. The apartment was clean and comfortable. Although we were o it in transit for one night, the facilities would support a longer stay. Staff were helpful and friendly. Strategically located in front of Watertown Outlet,you can shop till drop when stay here. Big apartment,we took 2 rooms apartment. The first room having king bed size and while the living room provide 3 seater sofa. Kithens utensils are complete together with sponge and dish washer liquid. Eashing machine and dryer are provided as well. Yellow cat bus stand are rigt in frint of the apartment door. Really convenient. Happy Thai restaurant is just a short walk from the apartment and serves dinner so it is good for those who arrive in the evening. Yellow cat bus stand (Sutherland Street) is just outside the apartment. Bus 28, 81 to 85 is just across the road on Watertown side. Green Cat bus stand is a short walk away, outside Watertown, which is directly opposite the apartment..
We stay here for 4 nights which the location just opposite the watertown (shopping mall outlet). The Yellow cat free bus just infront the hotel. The City West train station just 5 minutes walk opposite the hotel. The staff very friendly and always ready to assist. The con is the hotel not service your room everyday need to inform them if you want them to clean your room. They only clean your living room and bathroom not your bed room. After all I still think this is the best apartment hotel. right smack in front of Watertown, stone's throw away from 4 free Cat bus service stops, a 5 minutes walk to City West train station. if you're ok with strolling easily and doesn't mind the walk, it's 15 minutes walk to perth city centre. the apartment's facilities are complete, washing machine, dryer, electric stove with complete crockery. assistant manager Rozana Othman couldnt be more friendly and helpful, and made our stay a pleasant one. The location is superb. Just opposite to WaterTown, Shopping and shopping. Everything was marked down. We have to pay for the parking but we were given a discount for staying 6 nights. The place was quiet at night. The staffs were helpful and friendly. They even provide a coffee machine at the lobby for AUD1 per cup which was very cheap. 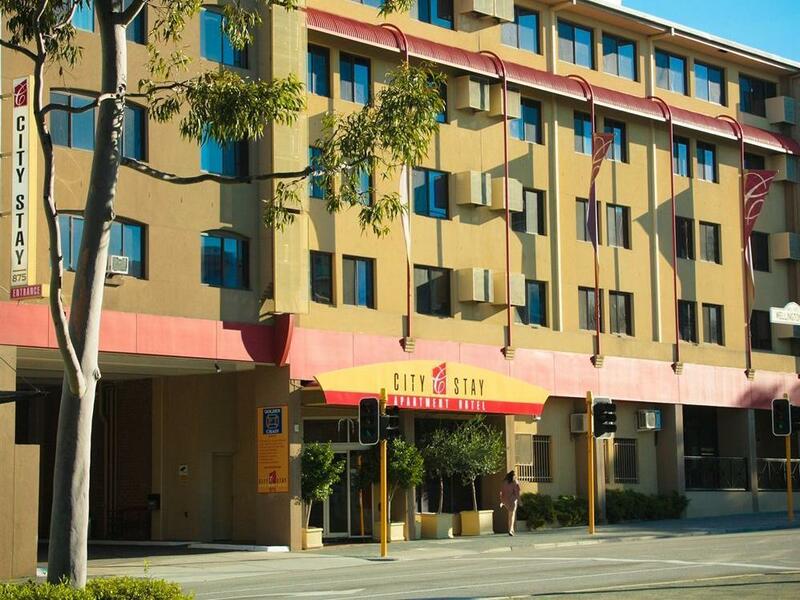 This City Stay is close to everything in Perth City. We love it here, stayed for 5 days and we totally feel like home! It's convenient to get to everywhere as it's a walking distance to the train station and Murray as well as Hay Street are just around the corner. Rooms are decent for a family of 4 and we'll definitely stay here again on our next visit to Perth!